Welcome To A Special Birthday Edition of Friday’s Featured Female! It’s the Month of Melissas and instead of writing something about myself, I decided to honor 44 other women in honor of my 44th birthday. 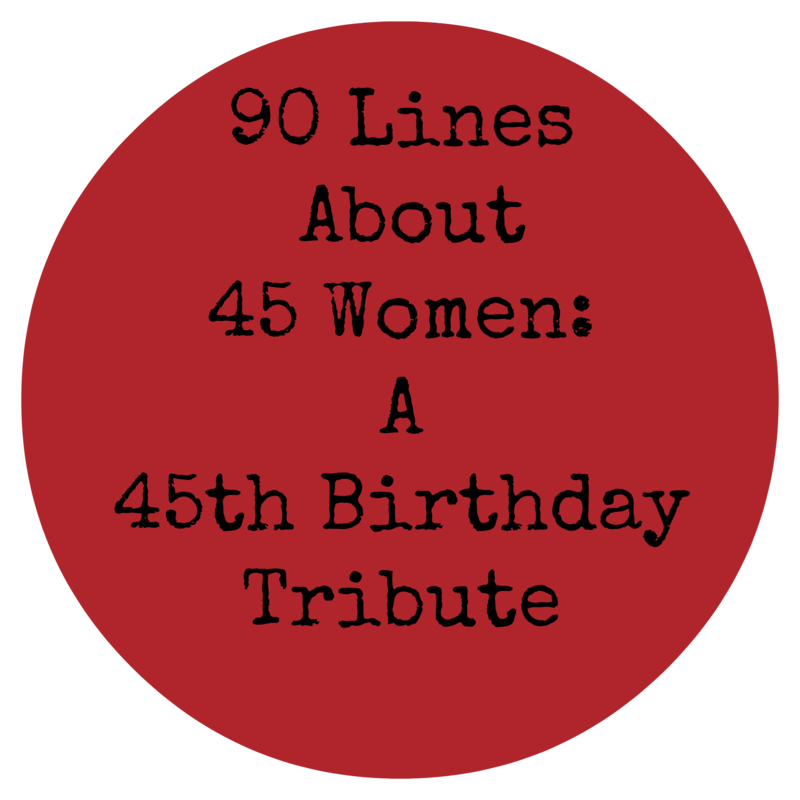 The song by The Nails “88 Lines About 44 Women” was the inspiration for this post. Friday’s Featured Female is all about amazing women and I wanted to let all of these women who have been a part of my life know that they have touched my heart. I’m terrible about keeping in touch and there are many people on this list who may have felt slighted or insulted that I haven’t made more of an effort but I hope this small gesture will let each and every person on this list know that they are important to me. 1. Laurie: You are my oldest friend on the planet. We’ve known each other since we were 5 and even though we’ve been in and out of each others’ lives over the years, I’m so happy that we are physically close to one another and we get the chance to watch our own kids grow up together. 2. Michele: You are my oldest East Coast friend. We may not be physically close to one another but I love that whenever we see one another, we pick right up where we left off. 3. Sharon, my near birthday twin. You were there for me through good times and bad. We did a lot of growing up together. Life may have taken us literally in different directions but I know our hearts are still connected. 4. Susie: I love that not only do you share my love of music but you might hate the phone as much as I do. I miss being able to hang out whenever we want but great friends can’t be separated by distance. Miss you and KL all the time. 5. Victoria: Who would have thought that a career crisis cooking class (I didn’t intend for the extreme alliteration), would have brought me (and Jay) one of my dearest friends? Time apart didn’t break us and neither will distance. Can’t wait to see you and the fam in March! 6. Christa: From the Discovery Channel to my greatest Bridezilla moment, it could only have been you. I can’t believe that a chance meet up in FL would be when we’d get the chance to see one another after so long. I’m exceptionally bad at keeping in touch but know that I miss you a lot my friend. 7. Lisa: If I could pinpoint the moment that made our friendship go astray, I’d turn back time and erase it. We had a unique friendship connection and I know that it’s my fault that it hasn’t continued. I think of you fondly and wish there was some way we could be more in each others lives than just Facebook updates. 8. Anju: High school would have never been the same without you. I owe some of my best high school memories to you – we laughed a lot – no one else could steal her cousin’s Pacer and look so innocent doing it. Thank you (and your parents) for introducing me to my favorite food ever, Indian. I still can’t believe that you were first to become an “adult”. I admire you a ton. 9. Lisa H, my other high school partner. We had some great times in high school but I think our post college adventures were a little crazy. I have a lot of silly memories with you and I’m grateful. I hope we get the chance to see each other again before our kids are adults. 10. Johanny: We had our ups and downs in high school but both of us being Ambassadors to Israel is something I know we will always look at fondly. I’ve loved rekindling our friendship. I do wonder how you manage it all – wife, mother and doctor though. 11. Evalyn: From elementary school to college roommates, we went through a bunch together. I’ve always admired your ability to be friendly with everyone and have such a strong sense of family. I’m glad that Facebook occasionally gives me an update into your life. 12. Dana and Anne: You both helped me have a great time in college. You both have always radiate warmth and fun. It has been awhile since I’ve seen you both (Anne more recently than Dana) but you both made college special for me. 13. Lauren, Dana, Kellie and Randi: My off-campus college housemates, we had a blast together in the beginning. Circumstances may have changed the nature of our relationships but with more than 20 years gone, I hope that the memories that remain are happy ones. Lauren and Dana, whenever I see your mini me’s on Facebook, I still can’t believe that we’re all old enough to be parents. I keep thinking that Taco and Fireplace nights on Chestnut Street weren’t THAT long ago! 14. Jacqui: I can’t believe that we’ve known each other more than 20 years (thanks Sharon)! Through you, I run and travel all over the world and live the metropolitan city life. I’m looking forward to seeing you and Penelope in June and maybe one day we’ll run together. 15. Alison: I’m not sure if Jay proposed just to give you the party you asked for. From O’Henry’s to Harry’s Hula Hut and Fire Island, we had a blast. I’m thrilled to see how gorgeous your boys are and that you and S are so happy. The transition to SAHM suits you well. 16. Stefanie: aka The Mayor of the UES. I think between you and Evalyn, you knew everyone in Manhattan in our post college years. Your good heart and smart brain always floored me. I have a deep admiration of your strength and devotion. Your dedication to whatever you put your mind to is amazing and I always think of you with a smile on your face. 17. Gail: Your giggle could make anyone happy. Thank you for introducing me to modern dance when you worked at the City Center. Coming to see you in Suffern was one of the only times I ever drove in NYC (right before Danny was born I believe). I’m angry for the fight that you and your family have right now but I admire your ability to find love and laughter through it all. I wish I lived closer not just for support but to see you more. 18. Lois: One of my first bosses. You taught me not only how to slam the phone down multiple times when I was angry at a client or how to throw a stapler across a room but you were an example of how a smart woman rose to a position of power in male dominated industry. I never wanted to leave that job because it meant leaving you. 19. Shawna: You helped make a learn-as-you-go job more fun. Thank you for introducing me to the movie “OfficeSpace”. My world has never been the same since. 20. Coach Katie, Coach Mindy and Charlotta: My Team-In-Training Coaches and running friend. When I decided to run a marathon in 1998, I had never run more than 3 miles. With the 3 of you, I ran multiple 5K’s, 10K’s, half marathons and a full marathon. It took me awhile to appreciate running for more than obligation or self-induced punishment but you three (and the entire 1999 team) showed me that I had more potential that I ever thought I had. 21. Dr. Janet Grommet: Thank you for giving me encouragement during my transition from marketing career to dietetics. Going back to school as an adult was difficult but you were not only a great teacher but you served as a motherly mentor when I really needed it! 22. My dietetic internship preceptors: Yup, most were women (except you Tom). I learned a ton from all of you. I may have cursed you all for the depth of information I had to learn and the hard work but it was all worth it. I’m very happy to be n RD today. 23. Sharon S: Thank you for being a great boss when I first became a dietitian. Your professional guidance was invaluable and I not only respected you but liked you as a person. I’m happy to know that your skills and your good heart are being nurtured in Boston with your husband and two boys. 24. Lori and Rivka: You two made working at Maimonides less like work and more like being part of a family. I’m sorry that I never even came back to say a proper goodbye after getting injured and going out on maternity leave. Both of you are stellar people, dedicated dietitians and made me smile a ton while we were colleagues. 25. Meryl: Thank goodness we both had babies in the Spring of 2007 because you were the only person who could calm my baby down when I couldn’t. Seriously! Meeting you through our Moms Group brought me a very special friend. Not only did we commiserate about our parenting woes but we became friends above and beyond that. I think I owe you the next emotional dumping session when I’m in town next. 26. Jennifer H: Without our babysitting swaps I’m not sure I would have made it out of infanthood with my sanity intact. I missed you when you were in LA last and hope that the next time you’re here that we can get together. 27. Eladia: My child’s first teacher. Thank you for helping Jay and I through the early staged of parenthood. Your insight and experience was invaluable and helped this very nervous, tightly wound, first time parent not jump out of a window. I know that the bright and social child I have today is thanks in part to you and your staff. I couldn’t thank you enough. 28. Odalys: From teacher to babysitter to family member. One of the hardest parts about leaving Brooklyn was leaving you – for all of us. My appreciation for your love and dedication to our child and our family can’t be expressed properly. We love and miss you! We are so proud of all you have accomplished at school and know that your impending marriage only means fabulous things are in store for you. 29. Sarah: You said you remembered the first day Jay and I dropped Wild Boy off at daycare and that you told me it would be ok. I know I needed to hear that. Your dedication to your child and work is admirable. I thank you for that day and for becoming part of the Eladia’s bunch. I love that our kids are friends despite distance. 30. Becky: Eladia’s helped our kids become best friends and brought us together. I owe you a ton. You not only allowed me to bounce so many of my crazy parenting dilemmas off of you but you helped me learn to look at running in an entirely different manner and it’s changed my life. I wish I had your calm demeanor, your stamina and your photographic eye. As a fellow dedicated working mother, I always felt supported in my decision to send my child to daycare when it wasn’t always considered a popular option. 31. Chaya and Julie: BKC would not have been the same without you both. Chaya, you helped me learn an entirely new field of dietetics and when you left I thought I wouldn’t be able to handle it but Julie, you showed me I could. Julie, not only did we work well together but we had fun. I miss working with you but know that you’re soaring over at Pratt. 32. Evelyn: How does one say thank you for helping mold a child? It’s impossible but I’ll try. Your love and dedication to the enrichment of my child continues even though he’s been gone from your direct tutelage for over 2 years. From the minute we met you at the MDS Open House, you were clued into my child and your insight and shaping helped him grow and helped Jay and I be better parents. Thank you. 33. 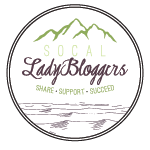 Carolyn: Finding the SoCal Lady Bloggers absolutely changed my life when I moved to CA. Meeting you and some of the members at BBC Vegas gave me the courage to do start my blog and it’s opened up an entirely new world for me. Thank you for being so welcoming (and for being my partner in that Jan 2013 Scavenger Hunt). It’s always good to find an east coaster to help ease the transition as well. 34. Michele P.: From the first day at Cycle Annex, you were an inspiration. 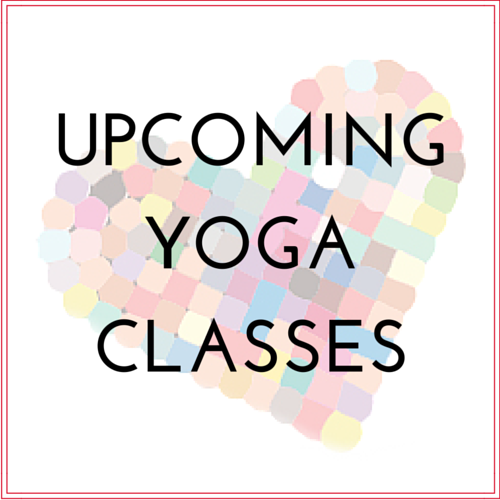 Not only do you lead fun classes but you are a powerhouse of fitness inspiration. Thank you for your continued encouragement. I loved starting off 2014 running the Rose Bowl Bandit Run with you and Syd. Maybe one day you’ll get me to ride a real bike or do a tri. 35. 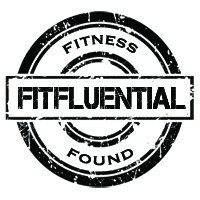 Roni: While we don’t really know each other well, I have to thank Roni Noone for founding the conference FitBloggin’. I never thought going to a conference would have such an impact on my life! After attending last year’s conference, not only did I get the chance connect with so many like-minded people (that I now consider my bloggy friends) but I was inspired to expand my blog writing to start my own private nutrition practice. 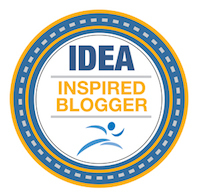 I can’t wait for FitBloggin’ 2014 and what it brings this time. 36. Jennie: An exercise class unexpectedly reunited us after over 30 years and how crazy is it that our first born children have the same relatively unique name on top of it?! You are a woman of deep love and dedication. You have a fabulous family and I’m so glad to have reconnected with you. 37. Lauri: From long ago sleepover friends through Laurie to adult music lovers, it’s been nice to reconnect. I can’t thank you enough for taking care of Griffin while the rest of the family went to NYC and for indulging me in my Duran Duran crazy fandom at my first CA show. I hope to go see some shows together in the future. 38. 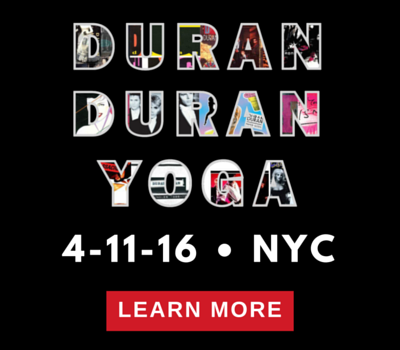 Josie: From a Duran Duran Facebook avatar to real-life buddies (we have Nik Davis to thank for that), I’m so lucky to have found a fun, sweet, generous and Duran obsessed friend like you. I look forward to more music, mud runs and fun events with you. PS – You have the sweetest husband on the planet. 39. Facebook reconnections: Elizabeth, Dana B-P, Cyndi, Yolande, Deborah and Barb: Even though Facebook is a poor substitute for true reconnection, I have to say that I’m grateful to this social media outlet to have some measure of connection to all of you. All of you were in my life at various times and seeing all of you as successful, happy adults makes me smile. I hope to see all of you IRL and catch up properly. 40. Jodi: Another very old friend that I’m more connected with via Facebook and through Laurie than I should be. You are one strong woman. You have endured a ton and I’m certain that good things are in store for you. 41. The Binghamton Women: Erin, Stacey, Lisa, Michele, Amy, Angela, Nadia, Lisa: We might not always be in the same place at the same time but we are all connected. Facebook and holiday cards keep me up to date and make me smile. When is the next reunion and are any of you going? 42. My Grandmother, my mother, Aunt Ruth, Jacqui, Susan and Jennifer: These are the women of my family. My relationships with all of you are not what they should be but we are connected. I have love and respect for all of you. Our family dynamic isn’t ideal and while much of that is my own fault. I hope to make that dynamic change in the areas that I can for the sake of my own child who loved feeling connected to some sense of family during our recent visits together. 43. My Mother-In-Law: Because I know she’s protective of her identity I won’t single her out by name but I hope that she knows how much she means to me. My MIL may not have given birth to me but she’s treated me like her own before I was ever officially a member of her family. I thank you for all you’ve done and will do in the future. There were definitely more than 44 women and 88 lines about them in this post and I know that I couldn’t possibly honor every single female (and the many males that make a difference in my life) that I wanted to honor today. I wish all of you a wonderful Valentine’s Day and hope you showing the people that you love how much they mean to you. I’ll be spending my day with my 3 favorite males today – Jay, Wild Boy and Griffin, the pug. So honoured to be included in this list. Happy Birthday dear friend! Love this! Happy Birthday Melissa! Thanks Kimberly. Hope you had a great Valentine’s Day. Thanks Christine! Happy Valentine’s Day and have a great holiday. Thanks Maribel! Hope you and M had a great Valentine’s Day. Thank you Ilene. I’ve always been a “guy’s girl” and it’s nice to come into a time to appreciate the women in my life. I hope you got lots of love from friends and family this long weekend.